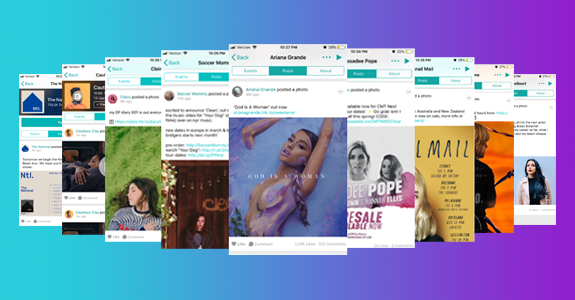 As an artist, you want your fans to be in-the-know as to what's going on, whether it's tour announcements, merch drops, album releases, or new singles. You name it, they want to know. Through Bandsintown Manager, you are able to let your trackers know instantly! Let your fans know what's new, and upload a photo you wish to share with your trackers! Keep in mind that messages are limited to 1,000 characters. Once your message is ready, click Post to send it to your trackers. You can send as many as your want. All active and opted in fans will receive either emails or push notifications instantly, and those who have not opted in will also see the message once they open the Bandsintown app in their notification tray. Note: Insights are updated every 24 hours, but it is recommended to view insights 48 hours after post for best results. Be sure to login to your Bandsintown Manager account TODAY and let your fans know of all the upcoming exciting news!